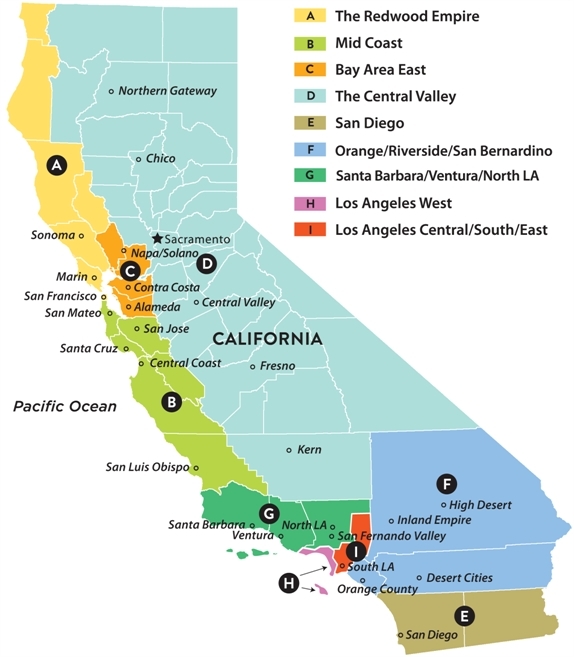 The state is divided into 9 geographic regions lettered A through I. Each region has smaller local units (city or county based). The map is interactive and click on the city or region for an interactive link to that area's Facebook page. State, region and unit events are also listed in the statewide events calendar ( Events tab).